There may finally be a collaborative plan for the management of the Columbia and Snake rivers, but there's one more step to go. The process behind a plan to resolve issues with the management of the two rivers has worked. Four years ago, instead of fighting battles in a courtroom, states, tribes and federal agencies began working together to agree on a solution to very complex issues facing the management of the river systems. After tireless and difficult work, federal agencies, the states of Washington, Idaho and Montana, and the Warm Springs, Umatilla, Yakama, Colville and Shoshone-Bannock tribes agreed to a new plan that will be argued today in U.S. District Court. 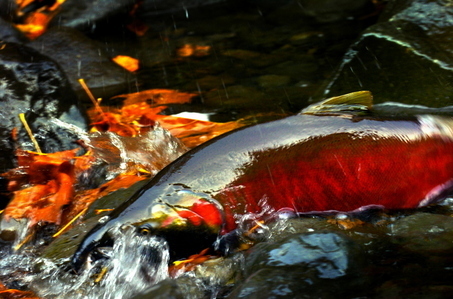 Although the plan comes at no small cost -- nearly $100 million annually to be paid by BPA ratepayers across the region -- this collaborative effort has allowed a diverse group to design and advance a plan that will provide a platform upon which participants may move forward with certainty and in support of threatened and endangered fish species along the Columbia and Snake rivers. It has been no small task to achieve the goal of healthy fish runs, reliable hydropower and enough water supply for our region's many other needs. If this collaborative solution fails to be implemented, potentially there will be additional requirements placed on the system that may force the Bonneville Power Administration to replace clean and renewable hydroelectric generation with more expensive carbon-emitting fossil fuel resources. Now more than ever, the flexibility of the hydrosystem is integral to our region's renewable energy production and economy because it is used to supplement wind energy production, which has seen a tremendous expansion throughout the Northwest. Failure to implement this positive solution would be not only an immense setback to both salmon/steelhead recovery and federal/tribal relations, but also a tremendous strain on our region's already fragile economy. The collaborative process has worked, and the long-term benefits to our region are clear: water for fish, renewable hydropower for our economy, and long-term certainty for numerous stakeholders. We certainly hope the effort made by the partnership of diverse groups succeeds. Too much is at stake to walk away at this critical time. Greg Walden, a Republican, represents Oregon's 2nd District in the U.S. House of Representatives. Peter DeFazio, a Democrat, represents Oregon's 4th District in the House.